Vermont is a northern state but its Civil War history runs deep. 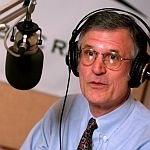 Host Bob Kinzel talks with historian Howard Coffin. Coffin has spent years gathering stories and documentation of Civil War events and places in our state – with a lot of help from Vermonters. We’ll talk about that research, and learn about how Vermonters will mark Abraham Lincoln’s 200th birthday this year.